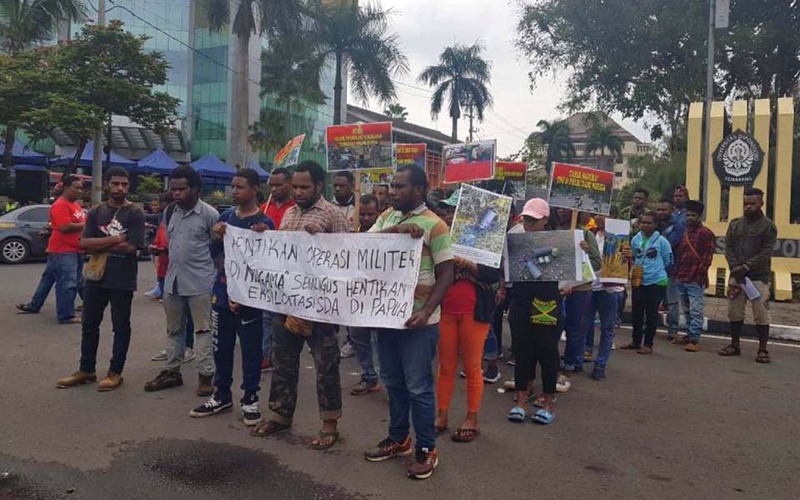 Jones Gultom, Medan – A number of student organisations from the North Sumatra University (USU) which are part of the group Student Solidarity Speaking Out (Somber) held a peaceful protest at the USU campus on Thursday March 28. 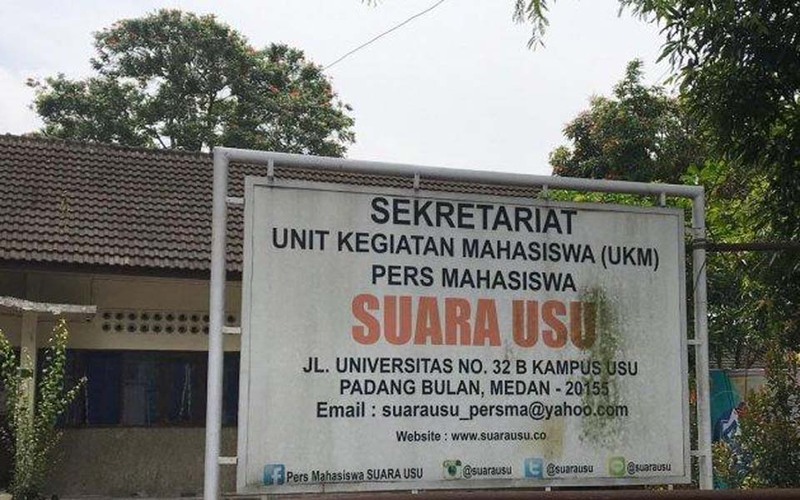 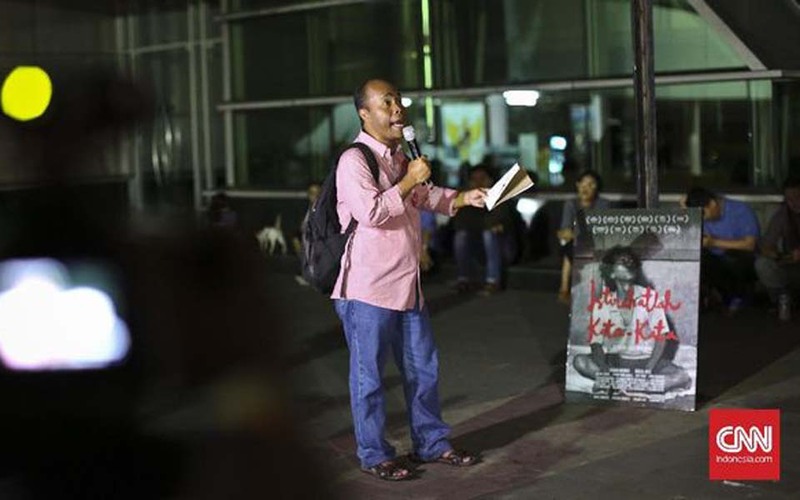 Medan – The North Sumatra Commission for Missing Persons and Victims of Violence (Kontras) says it regrets a decision by the University of North Sumatra’s (USU) rector to revoke the Voice of USU’s (Suara USU) editorial board’s Student Press accreditation. 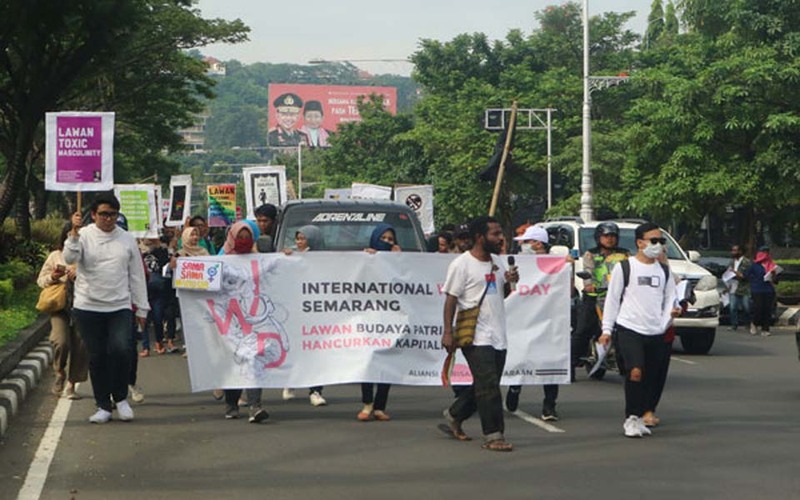 Jakarta – The country’s peek religious body, the Indonesian Ulama Council (MUI), is calling on the Indonesian public to use their right to vote on voting day in the 2019 presidential and legislative elections on April 17. 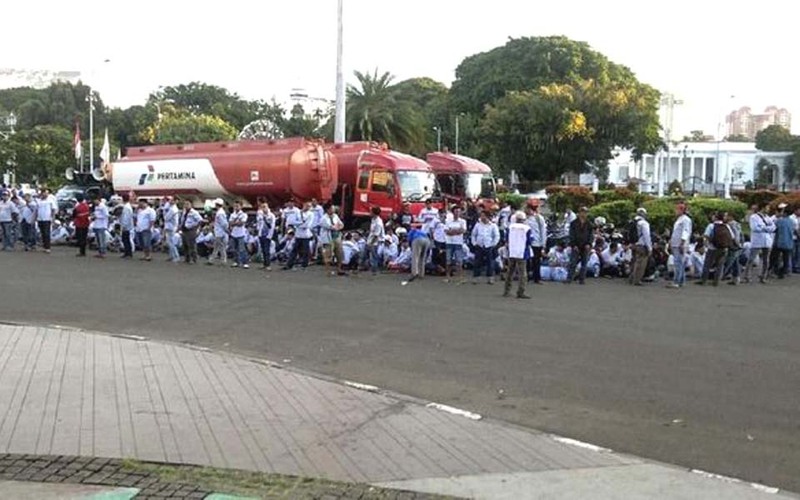 On the afternoon of Monday March 18, scores of people from various different groups held a protest action at the Yogyakarta Monument in the Central Java city of Yogyakarta. 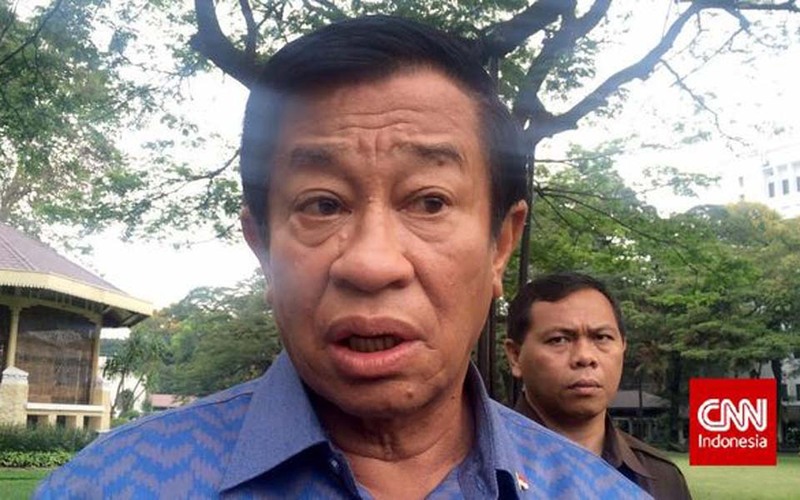 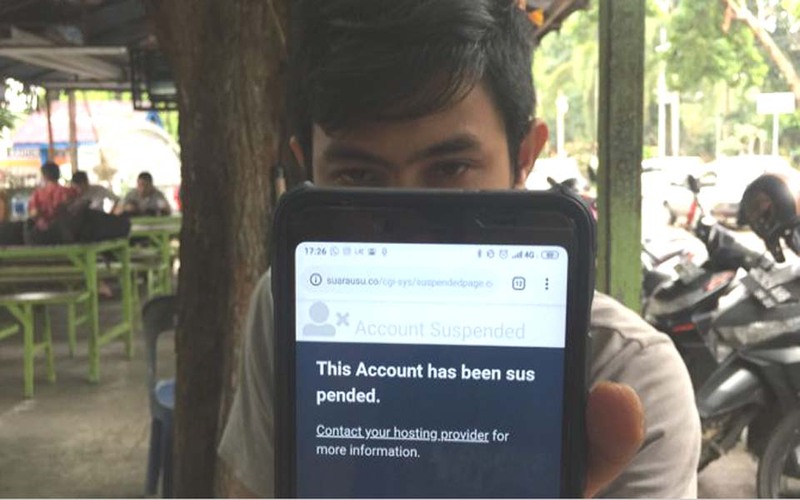 Prayugo Utomo – The fate of the North Sumatra University (USU) Student Press Institute’s Voice of USU (Suara USU) is on the “horns of a dilemma”. 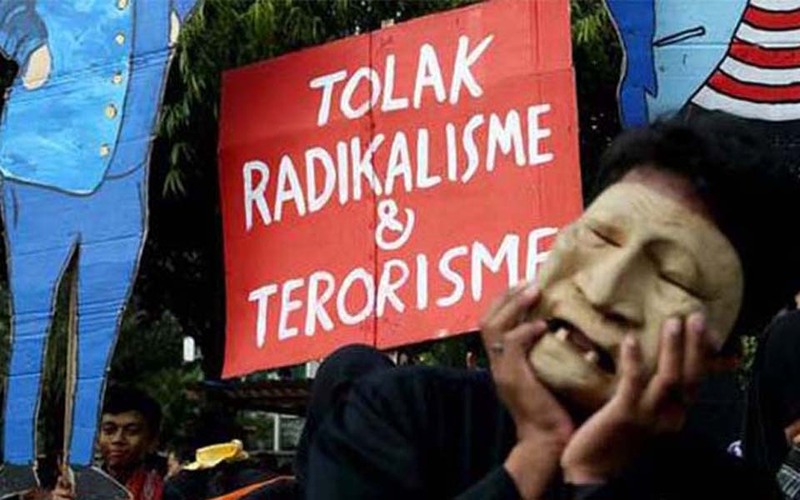 Jakarta – A survey by the Voxpol Center found that the majority of Indonesians don’t care about or aren’t interested in the promises made by the presidential (capres) and vice presidential (cawapres) candidates in the 2019 presidential elections (pilpres). 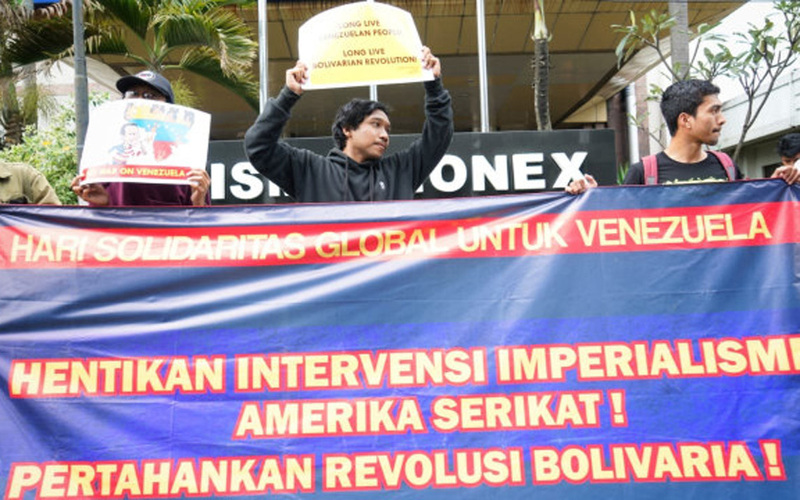 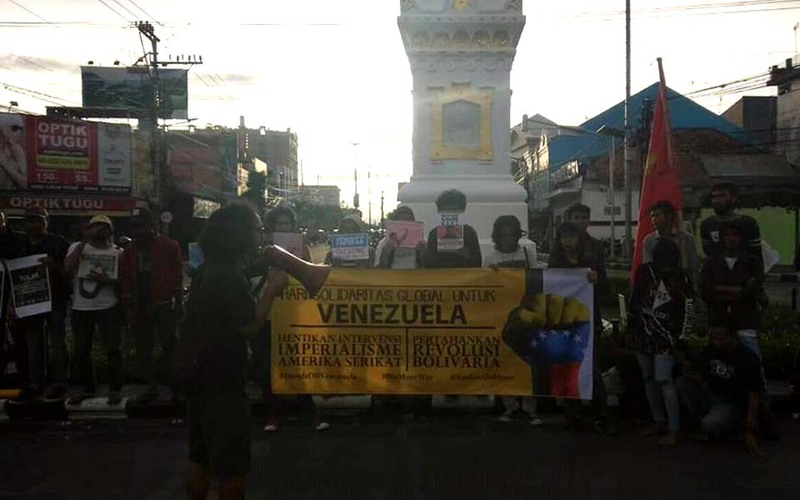 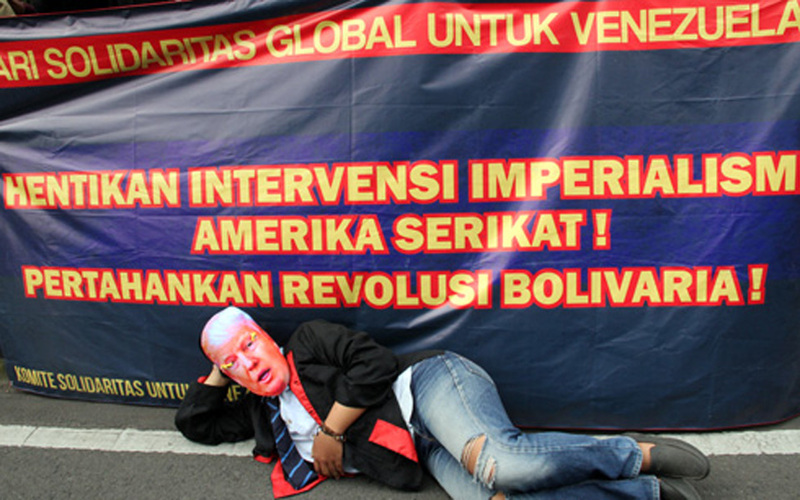 Agus Bebeng, Bandung – Commemorating the Global Day of Solidarity with Venezuela, a group of protesters from the Solidarity Committee for Venezuela (KSV) held a protest action in West Java provincial capital of Bandung on the afternoon of Monday March 18. 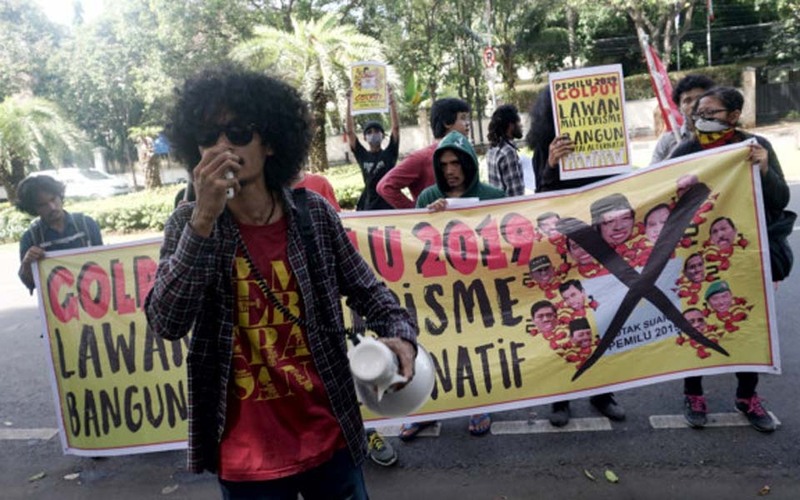 Lisye Sri Rahayu, Jakarta – Presidential candidate Prabowo Subianto is known to hold land use rights (HGU) over thousands of hectares of land in Aceh and East Kalimantan. 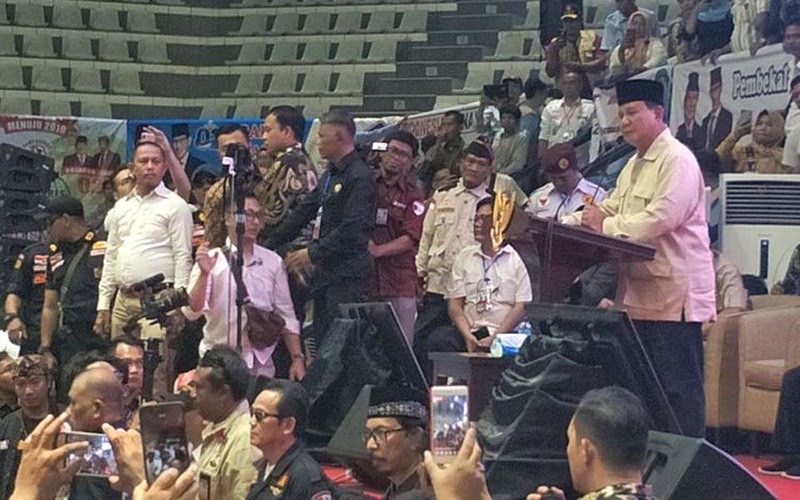 Prabowo has promised to return the land to the state within 10 days after being inaugurated as president. 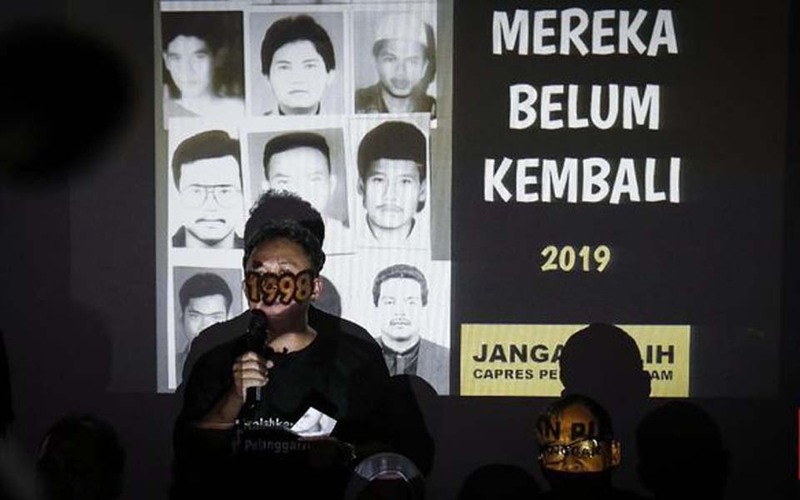 Lani Diana Wijaya, Jakarta – The government is being asked to ascertain the fate of the activists who disappeared after being abducted in 1998. 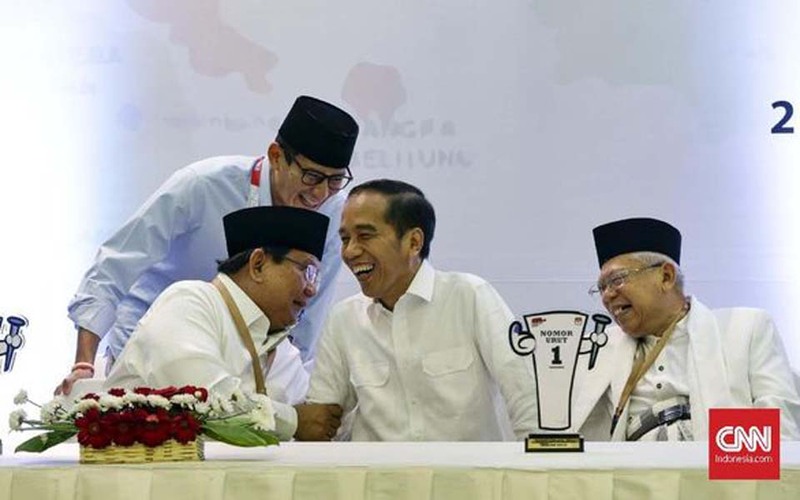 Dimas Jarot Bayu – A recent survey by Concept Indonesia (Konsepindo) shows that only four political parties will gain seats in the national parliament in the 2019 general election (pemilu). 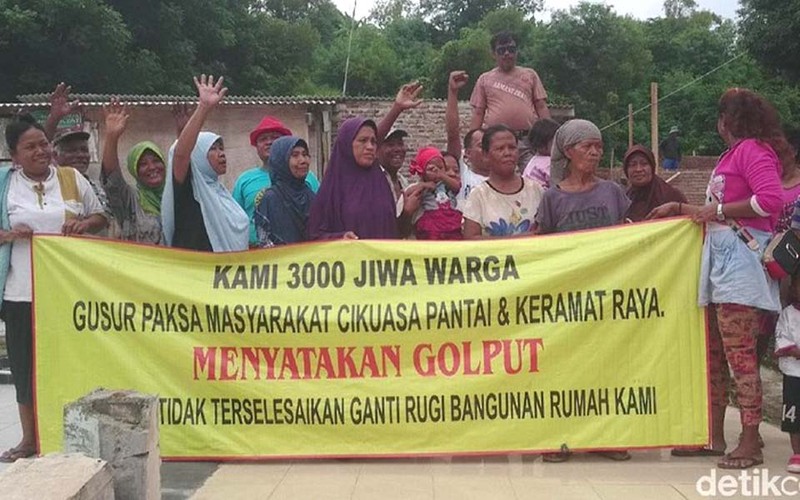 M Iqbal, Jakarta – Victims of forced land evictions at the Cikuasa Beach and Kramat Raya in Cilegon City, Banten province, have declared that they will golput or abstain from voting in the 2019 elections. 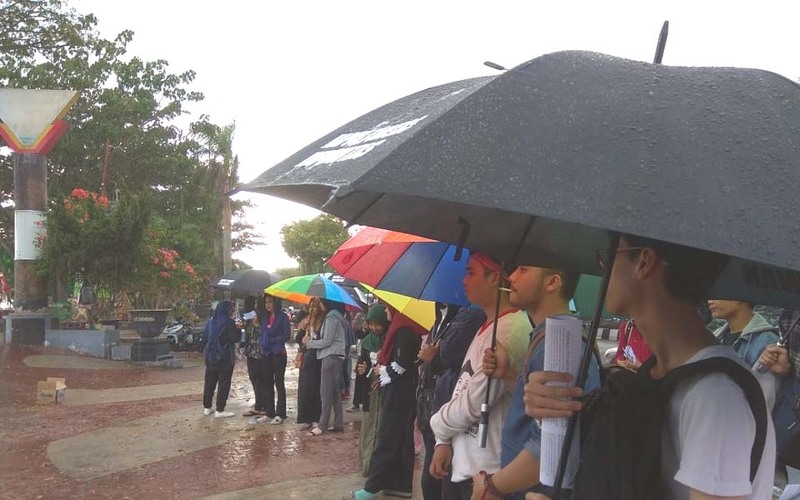 The total number of voters in the two areas amounts to some 3,000 people.